Two excellent quotations have recently been posted at the ReformedCovenanter website. The following are from Thomas Houston originally published in the Belfast Covenanter in 1835 and 1836. Arians, Socinians, Arminians, and other sectaries, have all pleaded for the use of uninspired hymns. The reason is obvious:- they could find room, by this means, to circulate their unscriptural tenets, while the use of inspired psalms would be fatal for their heterodox dogmas.” Covenanter, May 1836, p. 102, found here. We allege, further, that there is no ground to conclude that the use of the inspired Psalms in the Church was abrogated at the close of the former economy. It is an incontrovertible maxim, that whatever God has appointed to be observed in his worship should be perpetually observed, unless he himself intimated that it is temporary, or declares its abrogation. Singing God’s praise is obviously a moral duty, and, as such, of permanent obligation. Jehovah himself once appointed this duty to be performed in the words of David and Asaph; that is, by means of the inspired Psalms. Neither the duty of singing not the form of psalmody was of a ceremonial of judicial nature,  and, consequently, there is no reason to regard them abrogated when Christ came, and the partition wall was broken down. The church is, moreover, one in all ages. Every institution which her glorious Head has given her, she is bound carefully to observe, until it be abrogated by the same authority which first ordained it. No instance can be adduced in which the King of Zion has abrogated the use of the church’s inspired songs, or given permission to supplant them by the effusions of men. 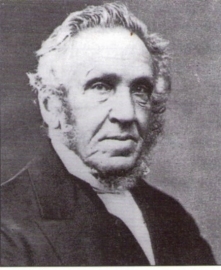 The divine sanction for using the Psalms is, therefore, yet disannulled, and the church now has the same warrant for drawing hence spiritual consolation, as had those to whom the sweet singer of Israel first delivered the inspired songs of Zion.” Covenanter, Jan. 1835, p. 6, found here. The term ‘judicial law’ is here used to describe laws that were unique to the Hebrew Republic. Hence a few paragraphs later we find the author arguing that, ‘The singing of the Book of Psalms was no part of the judicial law, for it had not particular reference to the civil policy of the Jews’. Ibid., p. 9.